Escapist Expo Tabletop Submissions Still Open! With just over two months to go, we're still looking for a few good Game Masters! The Escapist Expo is just over two months away, and for all those eager to break out their lucky dice, we're still accepting submissions for tabletop RPGs! Whether you want to run a classic game of Dungeons & Dragons or your own home-brewed system, we're looking for game masters of all kinds to run sessions, scenarios and modules of their favorite games. 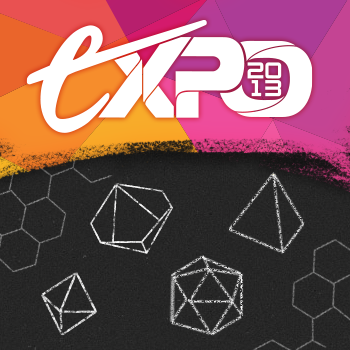 Just head on over and register with the Escapist Expo website and then submit your proposal here. There's no ticket purchase needed to register, and if your proposal is accepted, you'll receive a free day pass to use for the day you'll be running your game! To help process your submission, we'll need you to provide some info on the scenario you'd like to run, such as the number of players that you'll need, or the game system.. Additionally, if your system requires players of a certain skill level or requires a pre-made character or miniatures, please let us know so we can make sure that information is detailed in our schedule, and let us know what time and day you'd like to run your game.